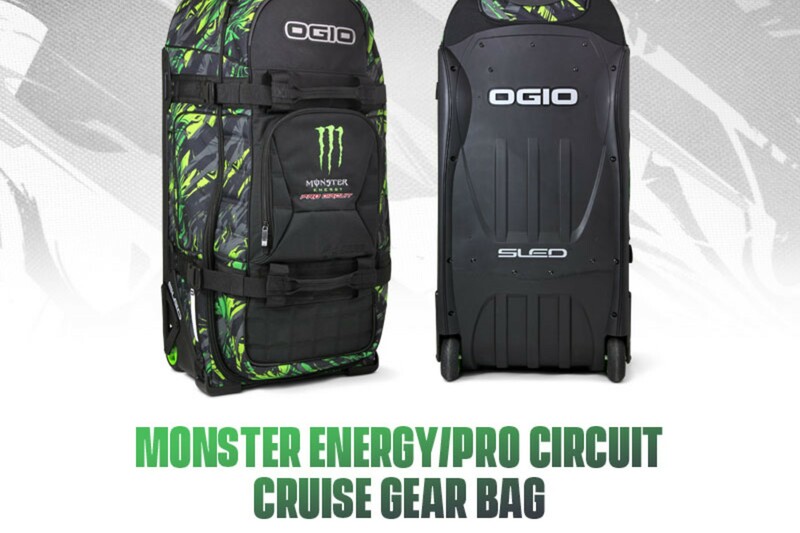 Corona, CA-The Cruise Gear Bag is one of three new bags up for grabs in the Monster Energy/Pro Circuit Bag Collection and is now in stock. 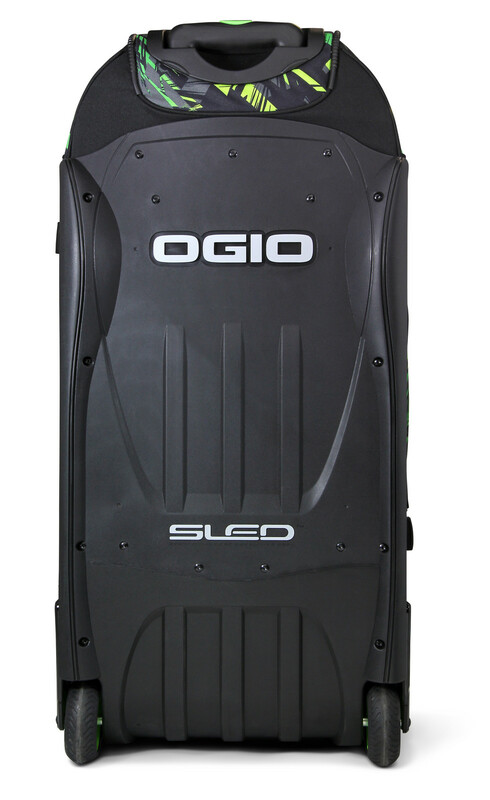 Manufactured by OGIO, the Cruise Gear Bag is durable and holds up against trips to the track or vacationing. Whether it's holding your gear, equipment, or clothing, the Cruise and its many storage compartments are up for the task in keeping your items safe. 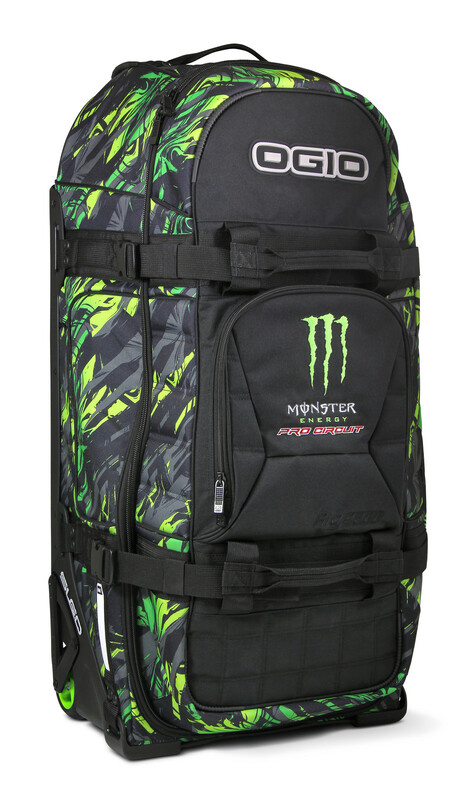 With embroidered team logos and bold graphics added to this durable bag, the Cruise makes for an item you don't want to pass up!